What began as a Mother’s Day surprise for Sandy Lore, has blossomed into one of Southern Gospel’s top family ministries. The Lore Family ministers to thousands a year in concerts, revivals, and seminars. This year they will minister in 15 states and be a part of some of Southern Gospel’s biggest events. 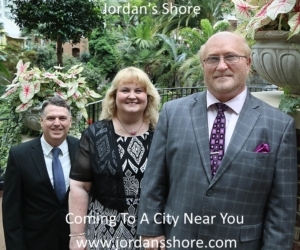 They recently celebrated their first top ten song, “I Lived to Tell About It,” and their current single, “Trace the Grace,” is quickly climbing, and will be at number 16 in the July Singing News Southern Gospel radio chart. Here are some excerpts from a recent Facebook post where Darren Lore talks about the origin of the Lore Family Ministries, the blessings they’ve received over the years. The Lore Family considers reaching the lost as the most important part of their ministry. Darren continues “In the past decade, we’ve witnessed countless numbers of folks come to know Christ. We’ve prayed with hundreds at the altars. The MAIN purpose of our ministry is seeing lives changed through the power the Gospel”. 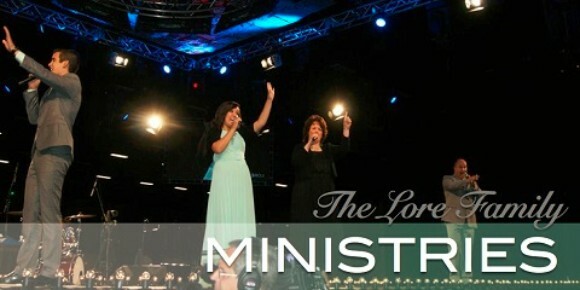 For more information on the Lore Family Ministries, go to www.thelorefamilyministries.com.